That is the life every day for women, children and the pets that come to Rose Brooks Center. That is their reality. When they enter they have no idea what a domestic violence shelter is like. Many questions run through their minds: How will we eat? Where will we sleep? We left everything behind! What will we wear? We don’t even have shampoo, deodorant – the basic necessities of life. What will happen to us? Through the Junior League’s support we are able to provide shelter, basic necessities and a welcoming experience as our families arrive at our emergency shelter. The Welcome Bags that the League puts together say that they don’t have to worry about those things, that someone who doesn’t even know them cares about them, their children and wellbeing. That is the impact that Junior League has here at Rose Brooks Center. You help us fulfill our mission of ending the cycle of domestic violence. You help us save lives!” – Joan Dougherty, Director of Volunteers and Community Support. 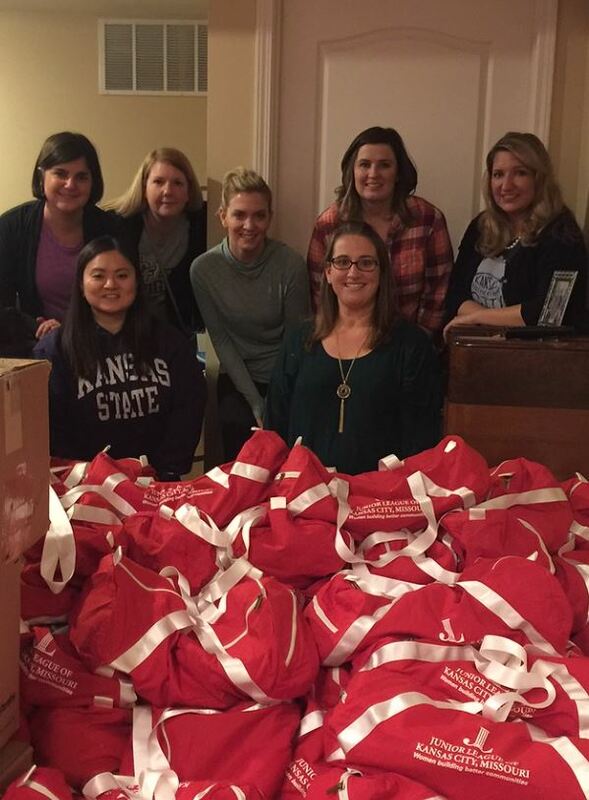 The League’s Signature Program Hope and Healing Kits provides welcome bags, which are also referred to as kits to the moms and kiddos who check into the Rose Brooks Center. The bag contents vary, and include basic necessities and comfort items like pajamas, clean socks and underwear, pillowcases with cartoon characters for the littles ones and personal items. According to Rose Brooks, domestic violence in our area is at its highest level in 20 years. With League support, the Hope and Healing Kits Committee bring comfort and support to women and children from all walks of life, at a time when they need it most. This entry was posted on February 7, 2017 by JLKCMO in Community Impact.